Va" thick for the door panel (G). 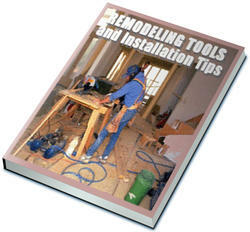 Glue and clamp the pieces edge to edge with surfaces and ends flush. 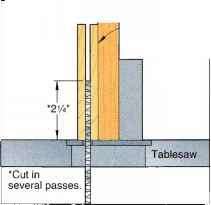 2 Cut or rout a Va" groove V2" deep along one edge of each rail and stile, where shown on Drawing 1b. From Va" cherry, cut four splines to size. 3Test-fit the door pieces; the panel should be slightly undersized about '/i6" in each direction to allow it to expand without splitting the assembled door. Then, glue and clamp the door. Allow the panel to float inside the frame without glue. 4 Mark the centerpoint, and drill a hole for the Shaker knob. 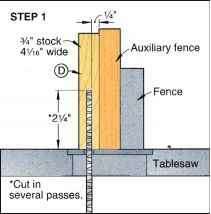 Keep same face of stock against auxiliary fence. 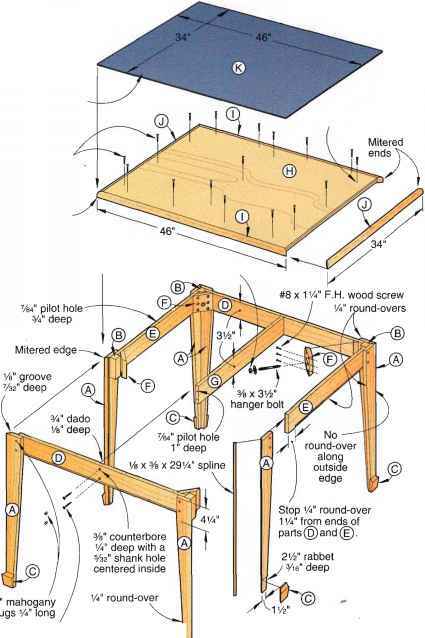 5Cut the adjustable shelves (H) shown in the Cutting Diagram to size.